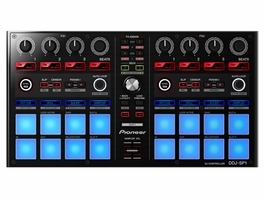 Pioneer DDJ-SP1 DJ Sub Controller is in stock and ready to ship low price guarantee. Get it for less at Djshop.com Find a lower price and we'll match it! The DDJ_SP1 ( ddjsp1) is Pioneer's first add-on controller that works Plug-and-Play with all supported Serato DJ hardware (including DVS). A portable but powerful companion to your primary Serato DJ setup. For any Serato DJ user that wants to get the most out of Serato DJs powerful and advanced features. New FX, powered by iZotope.